As Canadian banks race to stay ahead of FinTech disruption, TD has made several announcements in an effort to get closer to startups and improve its own digital capabilities. TD announced that it’s earmarking some of its $30 million FinTech investment fund to help early-stage FinTechs tackle patent applications. The bank plans to dedicate $3.25 million to giving startups patent application and expertise to secure their IPs. The program, which does not take equity, is meant to help the bank scope out potential partnerships without formalizing agreements at the outset. TD also announced that it is working with New York-based Kasisto, a conversational AI platform that powers virtual assistants in the finance and commerce industry. The bank plans to leverage Kasisto to give customers access to real-time spending insights through messaging. Cutomers can check account information, review transaction histories, and monitor spending levels. They can also track specific categories like groceries or coffee. 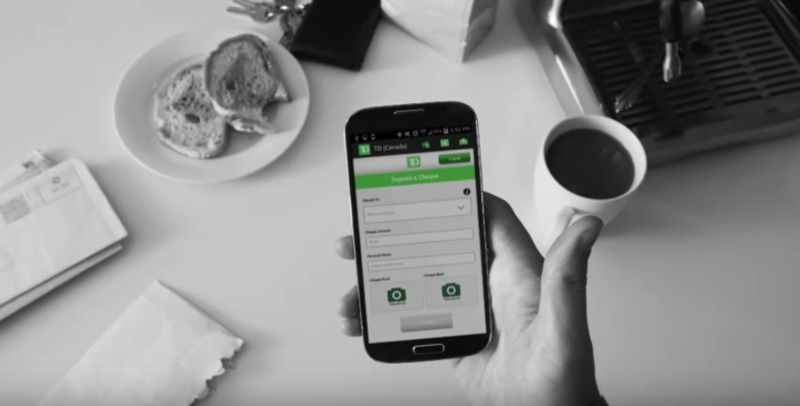 In the past, TD has leveraged startups to power its own customers’ experiences; Toronto-based Flybits, which has a partnership with TD, powers the bank’s digital concierge that notifies customers of local deals and discounts. The bank also announced plans to open a cybersecurity office in Tel Aviv, considered a leading hub for cybersecurity talent. The Tel Aviv office will support TD’s R&D efforts and development of cyber-related technical programs. During the announcement, Johnston named a number of TD initiatives that do more to take into account a customer’s lifestyle, including the TD My Advantage App, an app tracks driving to potentially get a lower rate on insurance, and working with Metrolinx to provide TD customers with notifications on their travel through the TD app. While the latter seems like outside territory for a bank, Hogarth doubled down on TD bank’s desire to engage with customers outside of just financial services.